Received the following details from Craig today - certainly a good line up and an excellent addition to the weekend. Please note the outdoor stage is weather permitting. However, all listings will go ahead - indoor if required. The area outside Whisky Macs will be licenced - please note it is illegal to take alcohol NOT purchased at Whisky Macs into this event. Sounds like the place to be if you have not got a ticket to the other venues. When you say "outdoor stage" Davie, where do you mean? I assume Shore Street will be closed to traffic. This is really cool by the way. Looking forward to this as there is no Bash this year! Will it be on the waste ground opposite Whiskey's? Location: On A Windy Hill!!! 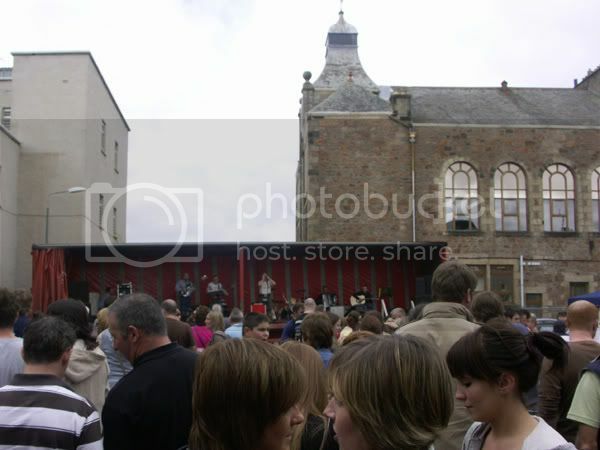 Malky wrote: When you say "outdoor stage" Davie, where do you mean? I assume Shore Street will be closed to traffic. The bit of gound opposite Whisky Macs and behind Woolworths. Craig actually did this a couple of years ago. It is an excellent line up and nice to see the Festival supporting someone who is really making the effort to add to the whole weekend. I decided to go round the pubs today to find out what is on and it is rather sad that some don't even go to any effort for the festival. Davie P wrote: I decided to go round the pubs today to find out what is on and it is rather sad that some don't even go to any effort for the festival. any excuse tae get in tae a pub noo...i dunno, can u just no say ye wanted a pint in the afternoon. Given the attitude of the pubs, maybe it would be best to forget about them, erect a couple of marquees on the green and get lots of smaller bands on. Make it similar to other music festivals. looks good, i'll need to pop along to see the melons, they play better when their getting some constructive heckling, not that they need it as they are brilliant live!!! Is there any tribute bands playing..i'll be winging it down on friday from the big smoke..heres hoping the weather is kind to us. yes, an eighties tribute band, but their playing the vic on the sunday night!!!!! Shame about the police spoiling this last night. Apparently the licence said that they had to have a "fixed" stage and the cops weren't happy that the stage was a trailer as it isn't "fixed". Strangely enough the Burnside Bash was always on the back of a lorry or a trailer, the same doon the green, and no-one seemed to bother about those events. No wonder people don't make much of an effort for things like the music festival if someone who's gone to the lengths Craig has to organise some good events gets treated like this. Ranald wrote: Shame about the police spoiling this last night. Agree with you Ranald. Craig is really trying-hats off to him. Today the samba band Sambayabamba was playing outside the Davaar Bar, the ever efficient local constables were there to move the large crowd that had gathered to watch them off the road. Granted, some had purchased drink from the bar and took it outside(think they were told they never had a licence), but surely with everything being cancelled doon the green they could have showed a wee bit of compassion for the crowds and turned a blind eye. There was no sign of trouble and everyone was in good spirits enjoying the beats. After all we all do a wee bit of law breaking once and a while-I wonder what would have happened to me if I had to drive my car onto the pavement at the sorting office to post a letter to save me getting out of my car as I witnessed!!! 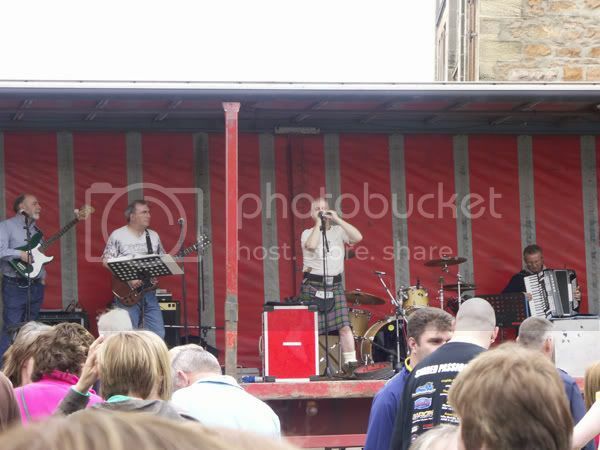 Nice to see the weather turned nice on Sunday for Whisky Macs open air stage which was really busy. Well done Craig on his efforts over the weekend.